The Dropzone Widget is an HTML5 upload web widget that you can easily integrate to any site to instantly add SendSafely upload capabilities. When a website user attaches a file using the Dropzone Widget, the files are encrypted and uploaded to your SendSafely account without any further interaction required. 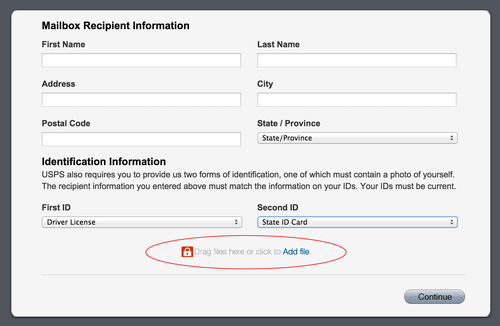 For Enterprise Users, the Dropzone Widget can be connected to a list of multiple recipients so that all of them can access the uploaded files. The only requirement for using the Dropzone Widget is that your page must include a web form that accepts input from the user (like a feedback or contact us form). The Dropzone Widget must append the secure link needed to access uploaded files to one of the form inputs, and you can specify the name of the input to use when configuring the widget. We are big fans of Zendesk, and we use their platform to handle all of our user support tickets. When one of our partners approached us with the idea to integrate SendSafely file upload capabilities with Zendesk, the idea for our Zendesk Widget was born (cheers to our friends at VM Associates for the great idea). The Zendesk Widget is a wrapper for our Dropzone Widget that is pre-configured to integrate into the Zendesk Help Center ticketing interface. With our Zendesk Widget, users can securely attach sensitive files to an inbound support ticket without the need to store the files on Zendesk servers (which also means no file size limits). You also get the added security of knowing that attachments are encrypted and only the designated list of recipients you configure can access the uploaded files. 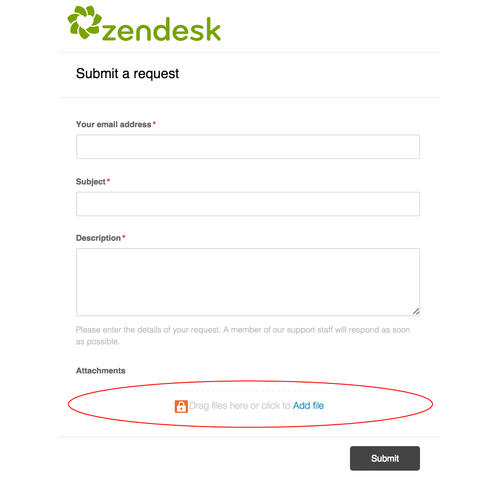 Using the Zendesk Widget is just as easy as using our Dropzone Widget. Once integrated, the widget will override the native “Attachments” section that is built into the Help Center and replaces that portion of the page with a virtually identical version that uploads files using SendSafely instead (notice the SendSafely orange padlock logo). When the ticket is submitted, the widget automatically inserts the secure link needed to access the uploaded files into the body of the support ticket, making it visible to your agents when they view the ticket. Our Single Sign On capabilities can be leveraged to ensure that agents are seamlessly authenticated to SendSafely and can download the files as needed. We’ve created a step-by-step overview of how to integrate the Zendesk Widget on the SendSafely Developer Website. We are super excited about these new integrations and hope that our users (and the Zendesk community) will love them as much as we do.